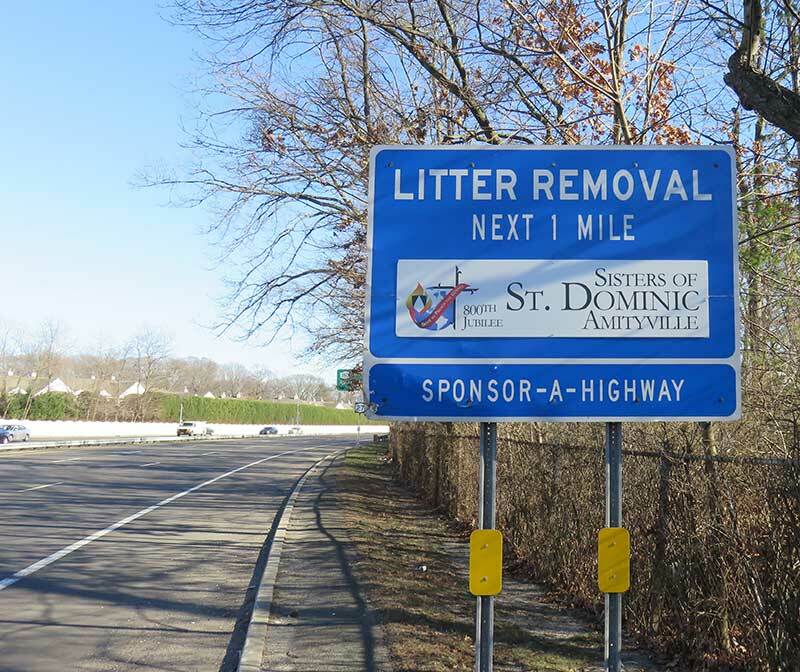 Our Sponsor-a-Highway Litter Removal Sign as part of commemorating the 800th Jubilee of the Dominican Order is up on Sunrise Highway on the eastbound side just before Route 110. If you happen to be driving by, take a look. We also have a toll free number: 1-844-DOM-LIFE.